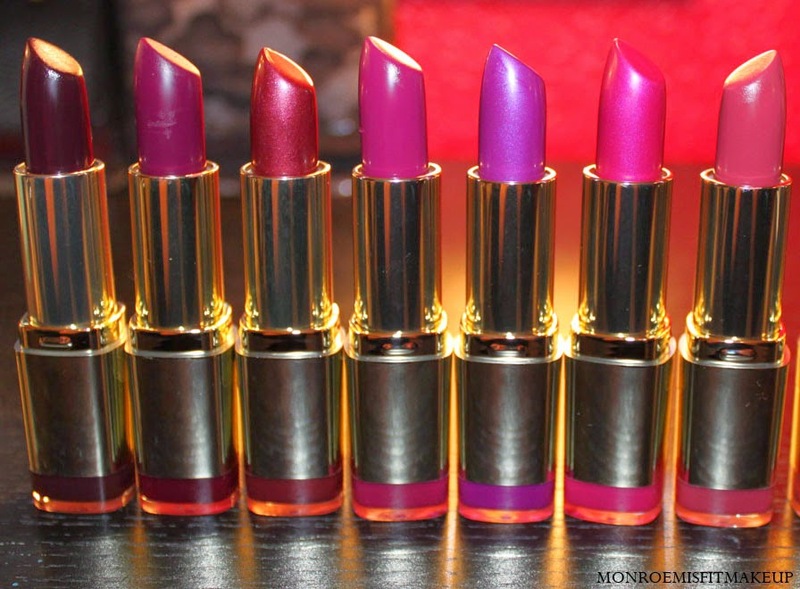 I have my final set of Milani's Color Statement Lipstick's to review today (press sample). The Plums & Berries Collection are the same rich full-bodied formula's as the pink, coral, and red's offered up in seven beautiful Fall-esque shades. It may be off-season, but it's been 50 degrees and raining here so there's no hesitation in throwing a berry lip on in the middle of Spring. Uptown Mave was my favorite from this collection, for a plum shade it's incredibly natural looking and easy to wear. Just like the previous color collection's reviewed these are highly pigmented, long-wearing, and come in a mix of finishes of cream, mettalic, shimmer, and matte. The cream and matte formula's are still in my favorite, the shimmer and matte's are slightly drying, but really it's all a matter of preference. Milani's lipstick's have a sweet melon scent/taste that fades quickly. Black Cherry - Black Cherry is a dark vampy wine that I adored from Milani's previous lipstick line. My excitement was cut short because it applies streaky and less opaque than the original. The finish and color is very similar to OCC Black Dahlia Lip Tar. Sangria - Matte Burgundy Plum that goes on almost completely opaque for a beautiful dark but not too dark berry lip. For a matte it feels comfortable on and not drying. Chilled Brandy - Brick Red with a Copper Shimmer. This one felt dry, gritty, and I'm just not a fan of the shimmer finish. 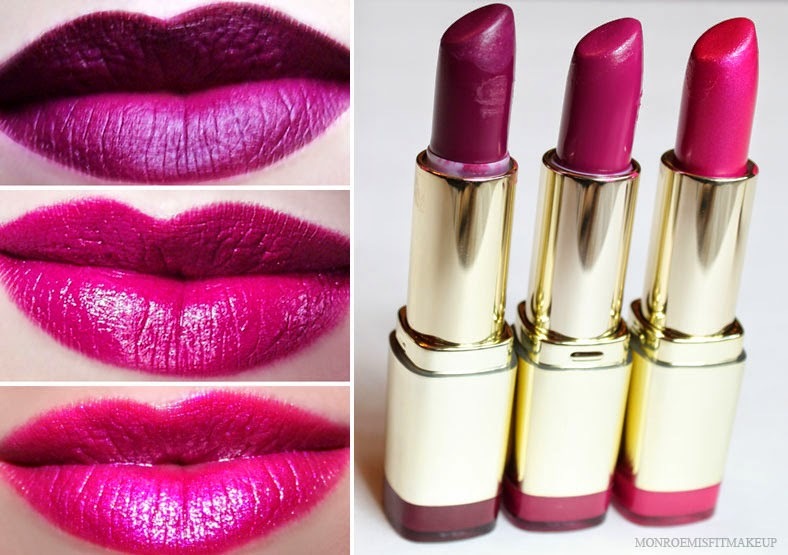 Uptown Mauve - A deep creamy berry with red undertones. Uptown Mauve is what I hoped MAC Rebel would be, instead Rebel looked like Cyber and all gothy on me. I am obsessed with this color and it applies so smoothly and pigmented. If I had to pick one ColorStatement lipstick to buy in the Plums & Berries range this is it, the color will suit so many skintones. Violet Volt - Violet Volt looked like it was going to be a dupe of MAC Violetta, but it's much more frosty and has a mettalic blue-purple sheen. Still a very unique and pretty purple in it's own right. Raspberry Rush - Mettalic Blue-toned Raspberry Pink. The irridescent fuschia finish is awesome! Like a grown-up 80's lipstick. It takes more than one stroke for full coverage, but builds up color intensity nicely. Plumrose- Plumrose will likely be one of the most popular shade's. A mauve cream that leans more rose than plum. It's almost out of place in this collection as I'd view it more in the pink family than berry. Love this lipstick for softer bridal type looks. My Top 3: Sangria, Uptown Mauve, Raspberry Rush and honorable mention Plumrose.